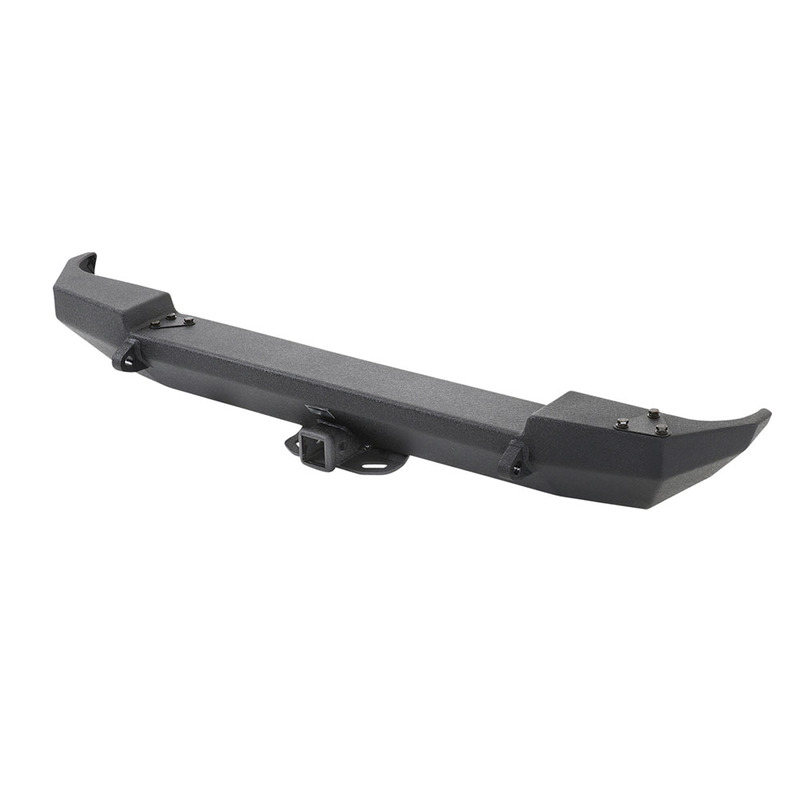 1987-2006 Jeep Wrangler XRC Rear Bumper by Smittybilt. - Solid D-Ring mounts welded inside and out. Manufactured out of 3/16" cold rolled steel, and comes standard with a Class III receiver hitch and two solid D-ring mounts that are welded on the insided and out for maximum strength. The optional swing away portion features a billet handle with a camlock system, adjustable tire mount and safety catch that will hold the Swing Away open while parked or positioned at an angle. The optional Swing Away Tire Carrier can be added to the bumper at anytime! Note: D-Rings are Sold Separately. Bumper Does Not Include Tire Carrier.